The Book of Hidden Things, Francesco Dimitri. (Titan Books 978-1-785-65707-8, $14.95, 400pp, pb) July 2018. Francesco Dimitri is a well-regarded fantasy author in Italian. He’s published several novels and graphic novels, and his work has been adapted for film (La ragazza dei miei sogni/The girl of my dreams, 2017). 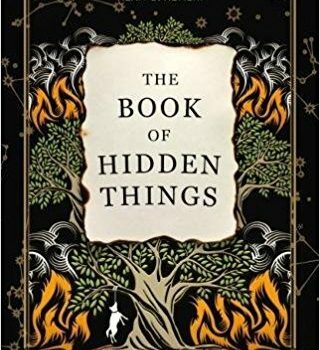 The Book of Hidden Things is his first novel written in English, and it is ambitious in several directions. It’s set in the far south of Italy, in the small town of Casalfranco, almost but not quite too small for tourist attention. Four friends, on graduating high school, pledge to meet at the same pizzeria once a year, no matter what else may be going on in their lives. The fashion photographer Fabio, the respected surgeon Tony, and the staid lawyer Mauro all arrive on time, but their peripatetic and peculiar friend Art does not. Art, a dilettante genius with wide-roving interests, has always been insistent on the maintenance of their meeting pact, and they find when they go to his house that he is missing. Art had a previous, inexplicable teenage episode in which he vanished for a week and then reappeared suddenly, without answers, so the local authorities aren’t likely to take the current disappearance seriously; there’s also the question of whether the Mafia, the Sacra Corona Unita, are involved, and if so, how. But Art does leave behind a manuscript, the titular Book of Hidden Things, and the supernatural explanation it suggests for his absences is not one his friends are readily prepared to entertain. This is not an ambiguously supernatural novel; it seems quite clear from early on that the magical explanation is the true one. It is a novel about people struggling to understand and accept the supernatural, which means that above all it is a novel of character, held up by the complex web of interpersonal dynamics between the friends and by the convolutions and quirks of their personalities. Dimitri switches between the three searchers as first-person narrators, and this approach works very well. Their voices are perceptibly different from one another, and they have different sets of available information and different ways of thinking about their problems, so the reader is able to use the separate viewpoints to create a parallax view of the situation. Art is also well-constructed as an extremely eccentric person viewed from the outside and in retrospect; he’s remarkably believable, considering how weird he is. The problem is that the complexity and realism of these character dynamics doesn’t extend outside the group of friends. Women, particularly, don’t come off very well – Dimitri is perceptibly trying to have female characters who have agency and interiority, but Mauro’s wife Anna in particular comes off as an inscrutable object of desire, her actions not governable by any logic the reader can understand. And Art’s long-suffering girlfriend gets written off by the narrative as simply crazy, possibly because someone doing something crazy was the best way to keep the plot moving, which means that she reads more as a plot device than as a person. This isn’t actually a massive or fatal flaw in the novel, though it does give it a certain interpersonal claustrophobia. That sense of confinement actually plays into one of Dimitri’s other major effects, which is a deep and lavish sense of the realities of the southern Italian countryside, and an incredibly evocative way of writing about Casalfranco and the surrounding region. Both the area’s staggering beauty and its limited opportunities and stagnating technological level are portrayed with an understanding that, in this particular place, it’s still quite possible to be one generation up from being a peasant. Casalfranco is a home and a trap, the context which makes the most sense to these characters and the nightmare they are consistently trying to escape. 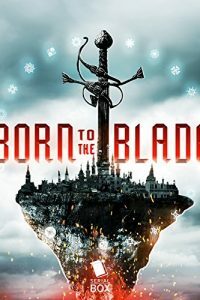 The landscape, almost a character in itself, is so impressively rendered that, between that and the solid relationship that does exist between the narrators, the plot doesn’t have to be complicated or unpredictable to land with a significant emotional impact and a sense of real supernatural dread and wonder. Which is just as well, because the actual plot is fairly simple, and will not come as a surprise. It’s instructive, when considering The Book of Hidden Things, to draw a comparison with Peter S. Beagle’s 2017 novel In Calabria, also set in southern Italy, featuring a middle-aged protagonist with little in the way of economic opportunity, and containing a significant Mafia subplot. 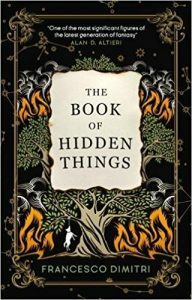 The interesting thing about the comparison is that The Book of Hidden Things comes off pretty well – the difference between a writer at the top of his form writing about a place he knows mostly by doing research and a writer at the top of his form writing about a place he knows through lived experience. Beagle is better at plot, and at magic, but Dimitri’s language stands up well next to his, which is a real achievement given that Beagle is one of the greatest living masters of the fantastic. Dimitri may not have fulfilled every goal he set for himself, but the resulting novel remains fascinating, and more than readable.